Outdoor lighting is essential thing that can bring functional and aesthetic values. 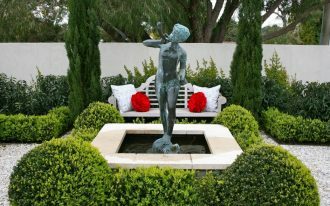 They often give a huge impact on creating perfect lighting effect for outdoor and surround. 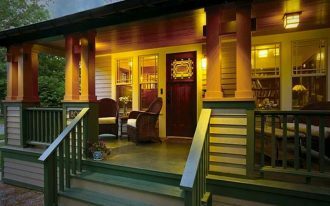 Through this page, I have collected ten best outdoor lighting hopefully give you new inspirations when re-decorating your backyard, garden, front yard, landscape, and even front porch. Let’s check them out and start to fall in love. 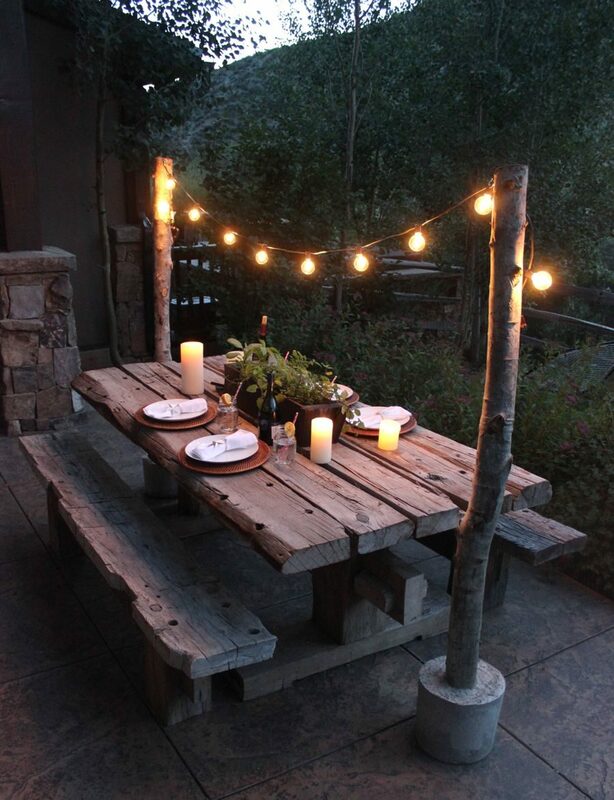 If you want to use outdoor lighting temporarily, outdoor romantic dinner for celebrating an anniversary for instance, consider selecting simple lighting fixtures like this string light. 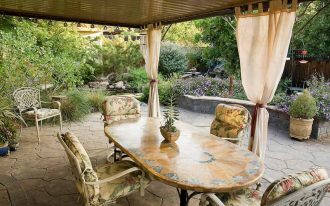 The fixtures with warm & dim illumination work best for such romantic outdoor dining space. 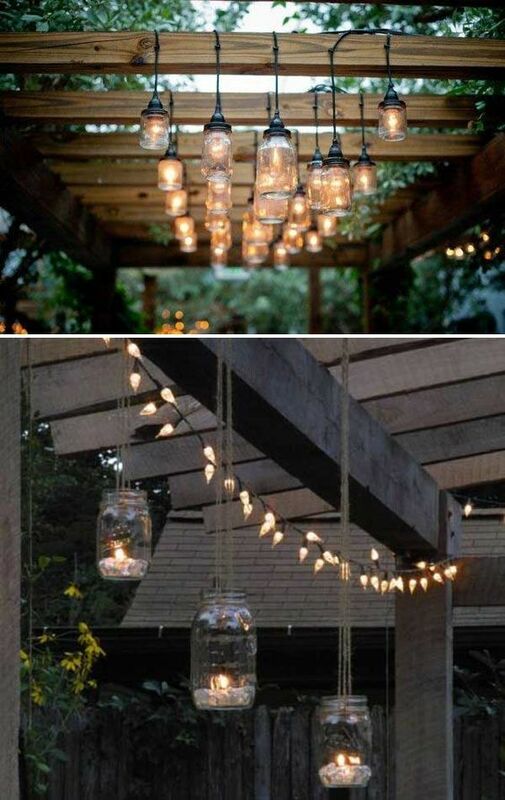 Mason jars can be optimally used for such decorative outdoor light fixtures. 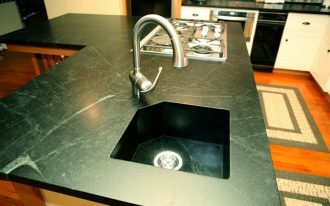 Re-make them as same as the industrial-style light products exposed more black iron light holders. 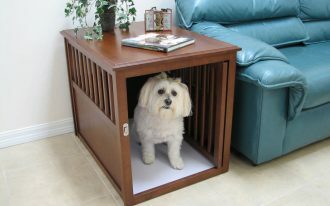 Feature these creative pieces with natural wood element for rustic signature. 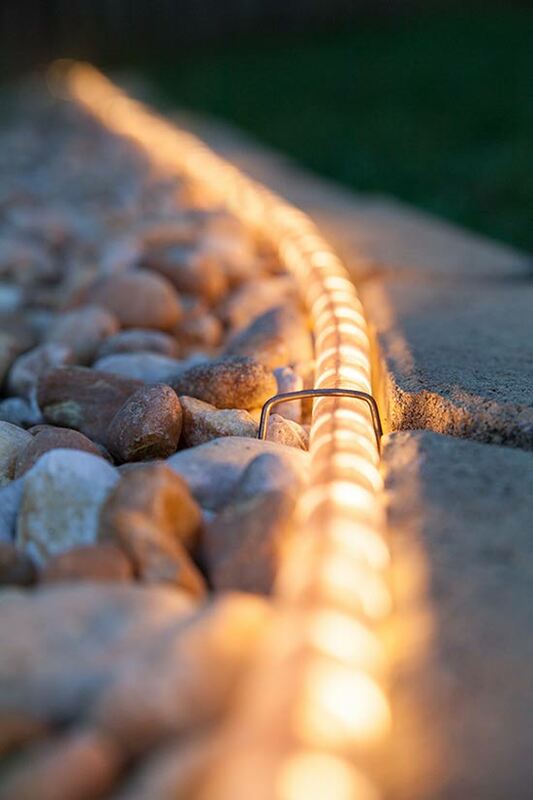 This is called a rope light, a very innovative outdoor lighting product designed as same as rope. 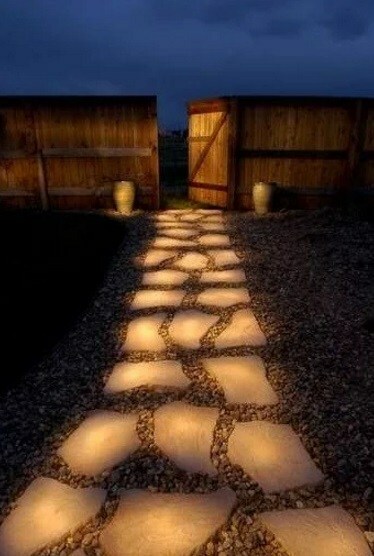 With lighted rope, this fixture looks so good for walkway’s borderline. This can also be used for other uses like your deck. Need to highlight your garden or backyard in simple way? Get inspired with this garden pathway. The stones are painted in dark but when the dark comes, they start to be glowing as if they’ve charged by the sun during the daylight. 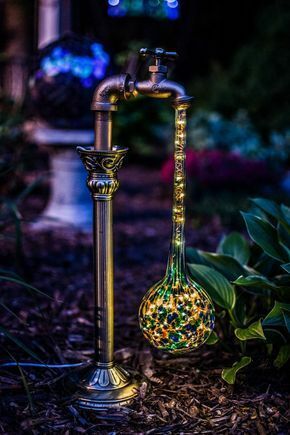 Add a little magic to your garden with this awesome waterdrop light. Feel the beauty and functional feature in the same time and make your garden a stunning spot just with this DIY garden light product. 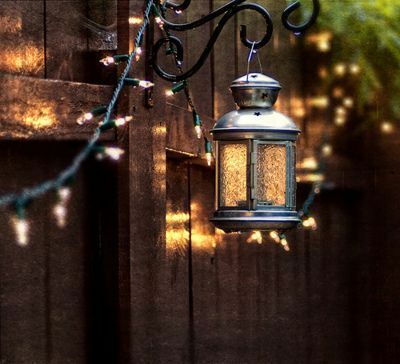 Another DIY garden light product beautifully light up your green garden or backyard. The product is a chandelier and creatively made of some Mason jars with electrical bulbs inside. 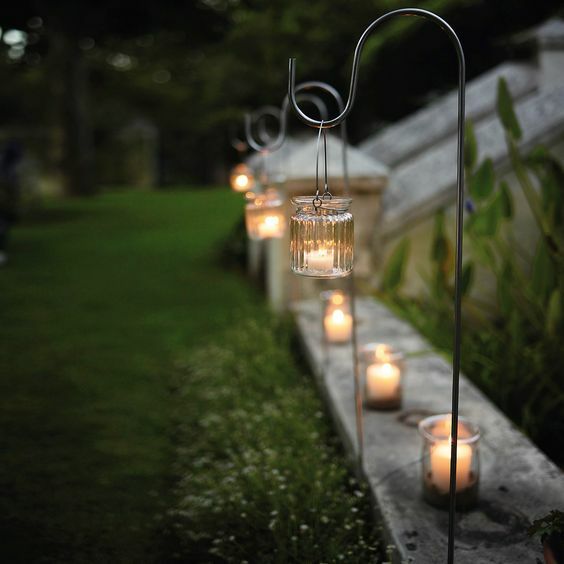 When the power is on, these glass jars will be sparkling, giving a dramatically romantic atmosphere and surrounds. Create an old and antique look by involving several salvaged pieces like this traditional lantern light. To empower rustic feel, use a classic-style iron hanger as the light’s best pair, and choose deep dark color schemes as the primary tone. 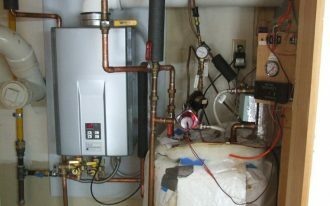 It’s easy to create rustic look with such idea. It’s wonderful to find such DIY outdoor light. 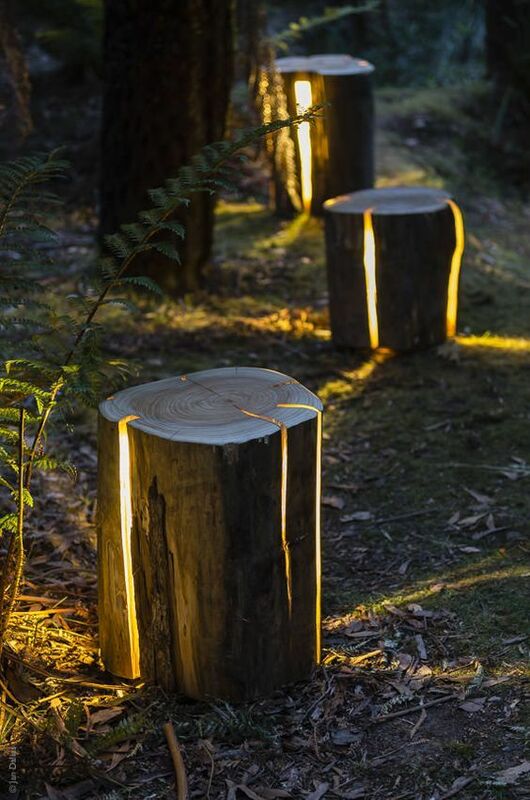 I’m really curious about how the light is on the tree trunk seats. There is sparkling light bursting out from the seats. Beautiful! 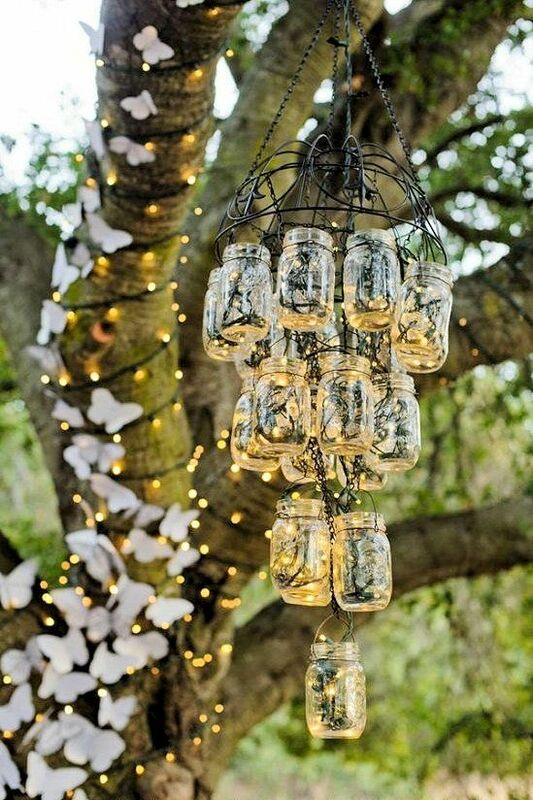 It’s great idea to re-use your Mason jars for decorative pieces like these hanging garden candle holders. Add color effect on glass to make the produced illumination more beautiful. These handmade products, of course, can be perfect garden’s ornaments. For a garden party, for example. 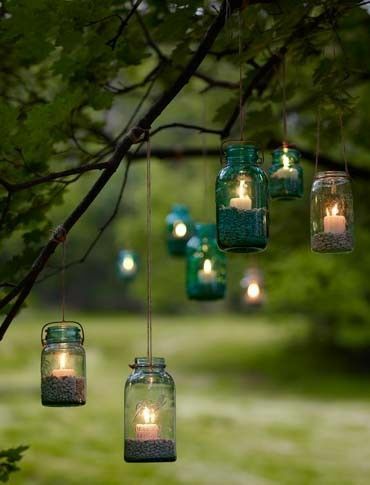 Jam jar lanterns – These products are actually low-cost since they’re made of unused glass jam jars supported by simple iron hooks planted on ground. 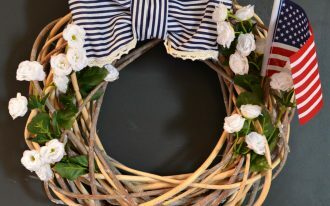 They’re perfect for highlighting the borderline of garden path, outdoor stairs, or even front porch.